Visit our friendly neighborhood butcher to get meat cut to order! Our butcher department is known throughout Connecticut for offering the best in customer service and custom-cut meats. Our butchers are well trained and experienced in meat cutting and have one goal in mind: to make you happy. All of our meat is cut throughout the day at our old-fashioned meat counter. Our friendly butchers are happy to help you decide what to serve whether it's for dinner on a busy weeknight, a crowd at your summer BBQ or your loved ones on holidays and special occasions. Don't have time to start dinner from scratch? Pick up one of our ready to cook entrees, choose from our popular chicken cordon blue, spinach & feta stuffed chicken breasts, gourmet flavored burgers, marinated steaks tips & stuffed sole, just to name a few!!. We also carry fresh seafood everyday featuring fresh Atlantic salmon, swordfish steaks, seafood stuffed fillet of sole, fresh jumbo sea scallops, crab cakes & more! Call ahead with questions or to place an order at (860) 232-1075 or feel free to stop in any time to hand-select your cut of meat. Season outside of tenderloin with Hall's Canadian Seasoning. Roast whole tenderloin at 400º for 40 minutes. Turn oven off & leave the roast in oven for an additional 10 minutes. Keep oven door closed during entire 50 minutes. Roast will be medium rare. Rub roast with flour, salt & pepper, tent with foil. 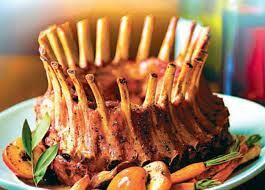 Roast at 500º for 15 minutes per rib. Turn oven off and leave roast in the oven for an additional 2 hours. DO NOT OPEN OVEN DOOR during cooking. Preheat oven to 350º, bring roast to room temperature. Season roast with Hall's Canadian Seasoning. 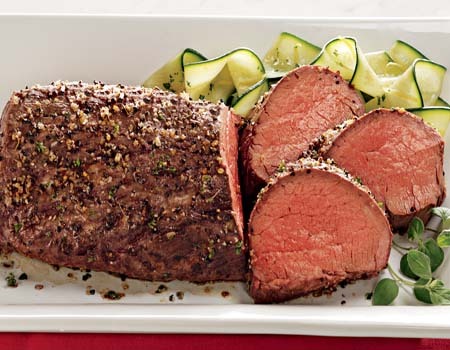 Roast at 350º for 21 minutes per pound for medium rare or 24 minutes per pound for medium. Saute 1/2 cup chopped celery and 1/4 tsp minced onion in oil.